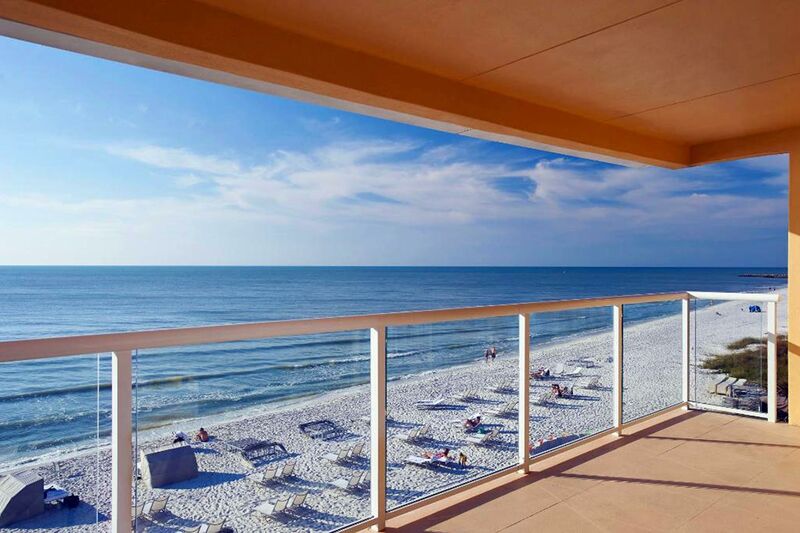 Florida’s sandy shores are lined with beach resorts, from way up in Northwest Florida all the way south to Key West. But not all Florida beach resorts are created equal. The best ones have that essential component of prime beachfront, of course—and many other amenities to make vacations easy and fun for families. Think kids’ clubs, where youngsters can learn about the state’s marine environments, water sports for teens, mini-massages at the spa, and much more. These are the best Florida beach resorts for families. When you’re at The Breakers, you’re on hallowed ground. This iconic Florida hotel is listed on the National Register of Historic Places. But for all the beauty of the building and grounds, The Breakers makes even the youngest of children feel as welcome as the most famous of guests. Camp Breakers has two different programs designed for kids ages 3 to 5 and 6 to 12, with an entire building (complete with its only family-style Italian restaurant) designed just for them. 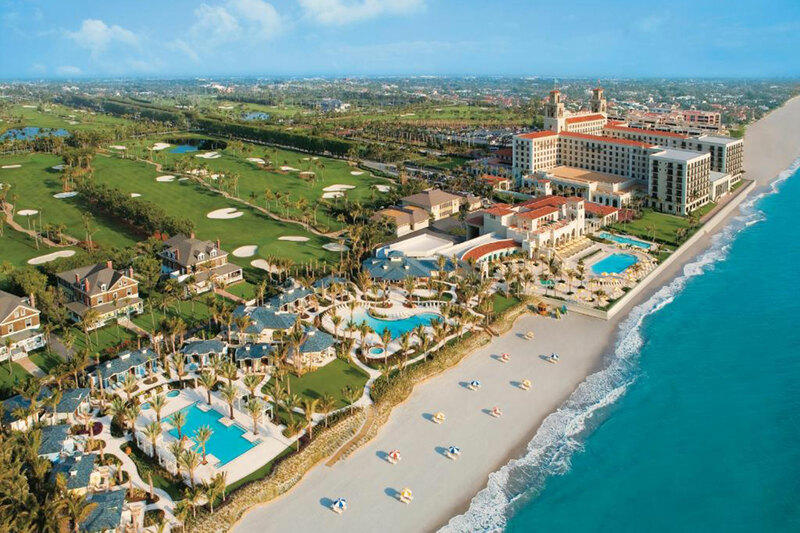 You can sign up for family golf clinics on the weekends, use the resort’s bikes to pedal around pretty Palm Beach, or do some kayaking and snorkeling right off of the hotel’s private beach. 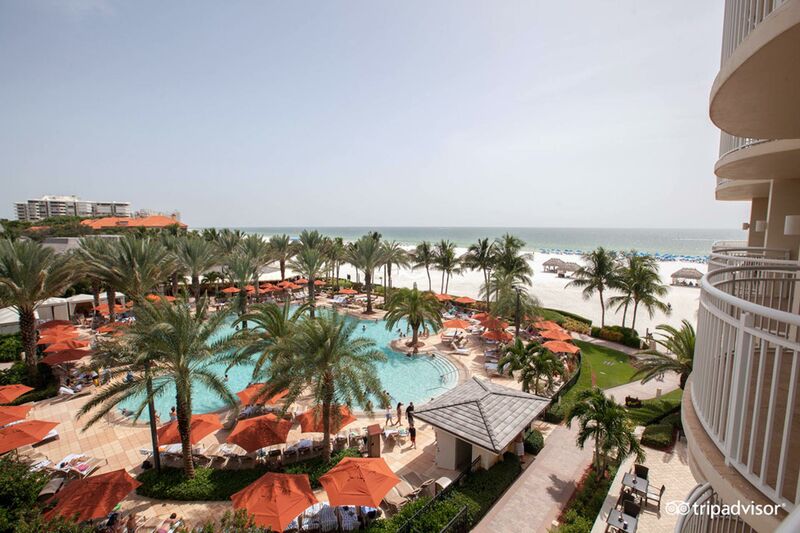 Florida beaches simply don’t get more beautiful than the long, sweeping stretch of sand along Marco Island on the Gulf of Mexico, where you’ll find the all-encompassing JW Marriott Marco Island Beach Resort. When you’re not building sand castles or going off into the Ten Thousand Islands on a family jet ski tour with the resort, enjoy the Tiki Pool, a family-favorite with waterfalls and waterslides. The hotel’s Lanai Suites are a favorite with vacationing families since they have separate living areas for spreading out, plus private patios with gorgeous Gulf views. Activities for kids include a day camp for ages 5 to 12. Come sunset, families gather for live entertainment on the beach while scouting for the green flash. With regular programming that includes a Kids Night Out on Fridays and Camp Loggerhead Kids Club, this beautiful resort on Florida’s Gulf coast is a long-standing family favorite. 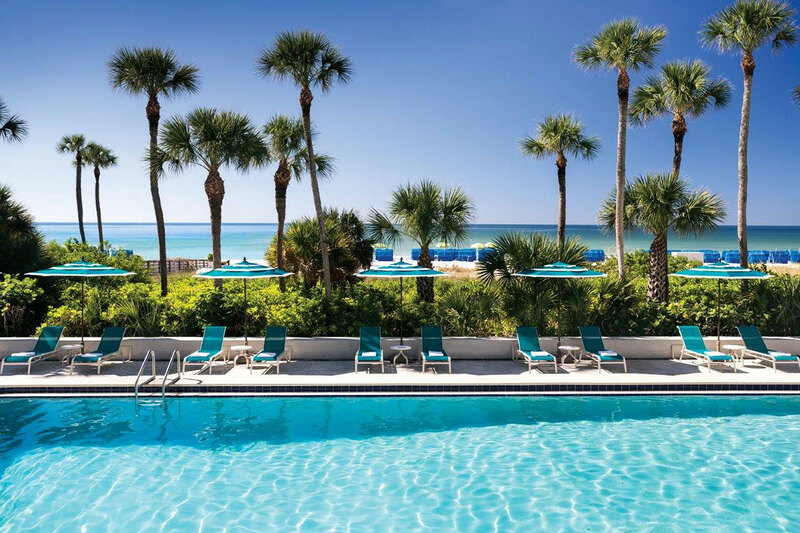 Rafts, kayaks and paddleboards can all be rented at the Resort at Longboat Key Club, but you’ll have just as much fun swimming in the clear warm Gulf of Mexico or dipping into the resort’s pretty pool, steps from the sand. Complimentary family beach games are on tap on Friday and Saturday afternoons. And among the resort’s family-friendly rooms are one- and two-bedroom suites where you can really spread out. Fronting prime oceanfront real estate on Amelia Island’s glorious 13-mile-long coastline in North Florida, the Ritz-Carlton Amelia Island stands apart with family offerings like an interactive kids’ club and fun activities such as indoor pirate campouts and kids’ nights out. You can even sign up for a kids’ meal plan (12 and under) that includes all three meals, with some good, healthy options, during your stay. Keep the whole family active and entertained at the property’s lovely indoor and outdoor pools, tennis courts, on-property golf course, and with beach adventures such as paddle boarding and surf lessons. There’s an old Florida feel to this low-profile, but high-style resort on a pretty Naples beach, where the one- and two bedroom-suites have amenities like separate living spaces and full kitchens that lend a condo feel to your stay. Dolphins regularly cruise the beach here, and the Edgewater‘s beach setup has chairs and umbrellas for everyone. You’ll feel like you’re staying in a boutique hotel rather than a large resort. 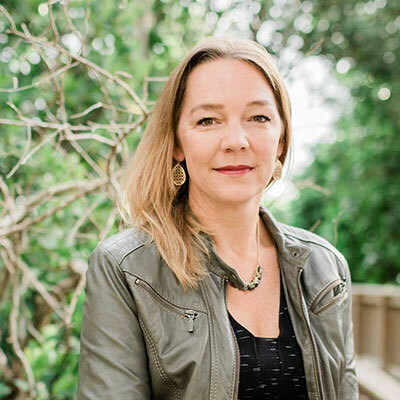 Other amenities include two onsite pools, bikes for pedaling the short distance to Fifth Avenue, and the hotel’s pretty restaurant, Coast, where you can gaze at the Gulf of Mexico during family dinners. The whole family can enjoy a castaway experience just a 10-minute boat ride from downtown Key West at this paradise island escape. 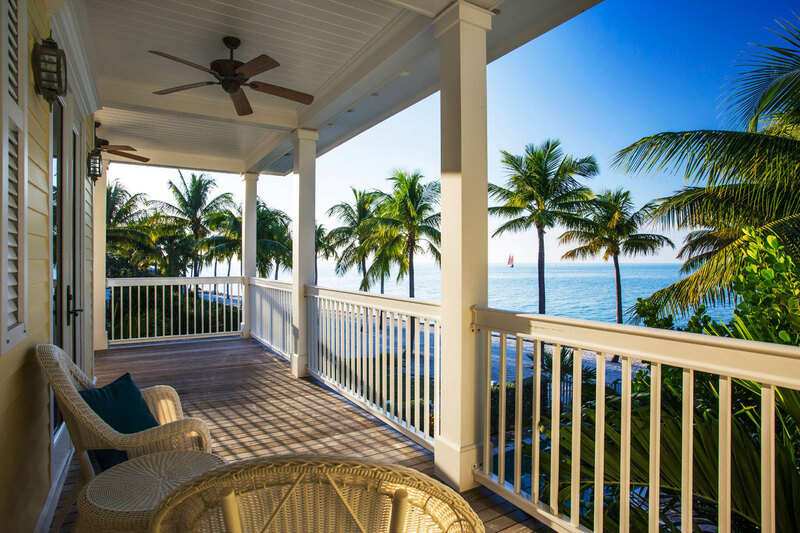 Sunset Key Cottages is a collection of pastel-colored, gingerbread-style cottages on an idyllic private island lapped by calm waters. The spa caters to kids with special massages and facials just for them. The resort provides fishing tackle and bait so you can fish off the private dock. And other island amenities include several pools, tennis courts and biking paths. When you’re ready for more action, it’s a fun ride across the water to the hotel’s dock near Mallory Square. 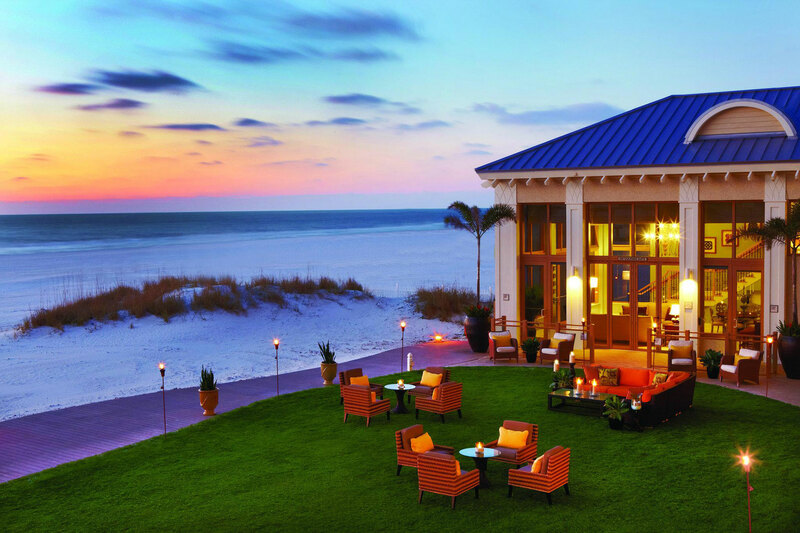 At the end of a fun-filled day at this treasured Clearwater resort that’s as popular with couples as it is with families, guests head down to the powdery sand to watch the sunset and enjoy S’mores around a bonfire. Sand sculpture lessons are often provided for free. And Camp Ridley, the Sandpearl Resort‘s kids’ club, runs programs for kids ages 5 to 10 that put the spotlight on Florida’s native habitats and wildlife for a fun learning experience for all. 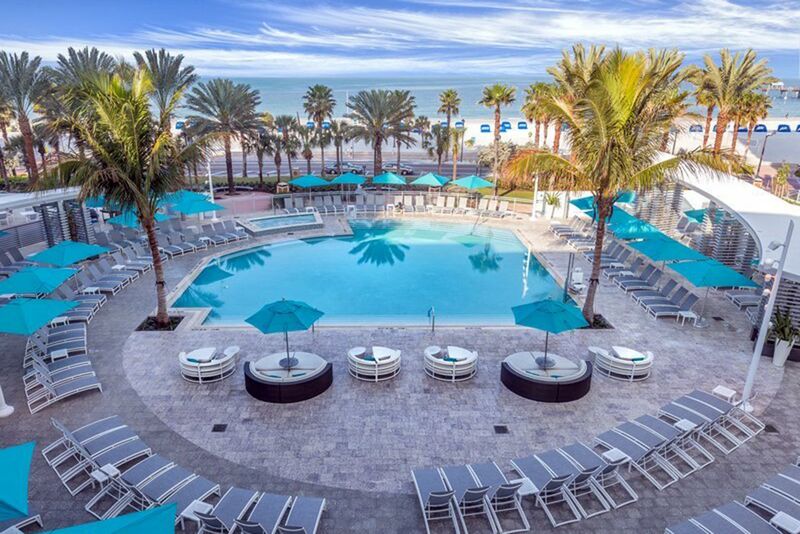 Fronting the beach and right near Pier 60—where Clearwater’s fun nightly sunset celebration goes down—the Wyndham Grand Clearwater Beach Resort is a Gulf Coast family favorite. Kids’ crafts, family movie nights and mini spa treatments for your little ones are a few of the ways the property makes children feel special. 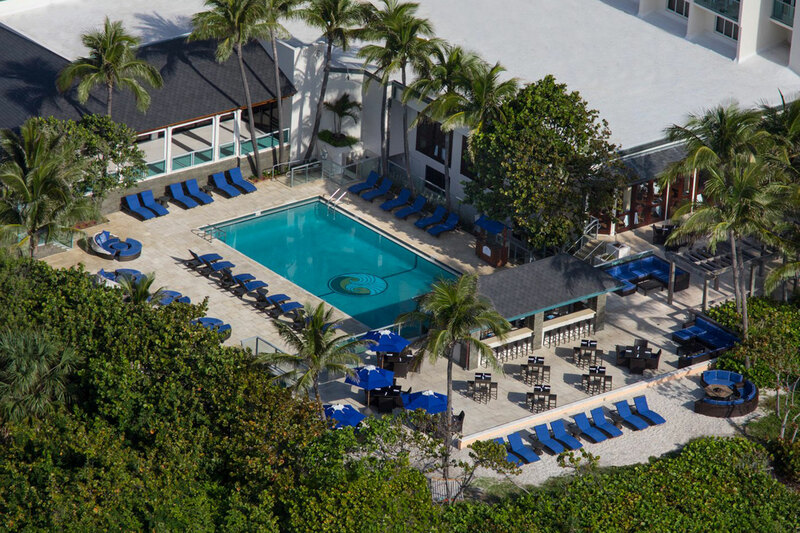 The outdoor, heated pool is perfect for a dip year-round. And Ocean Hai restaurant, overlooking the Gulf of Mexico, is a favorite for family buffet breakfasts. 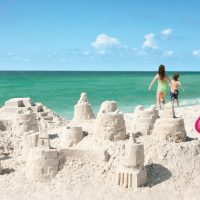 Located in the favorite east coast Florida family beach town of Vero Beach, Disney’s Vero Beach Resort makes up for being two hours from the Magic Kingdom (north, in Orlando) by having a slew of family fun onsite. The resort’s pool is shaped like Mickey Mouse and campfire sing-a-longs and kayaking excursions are the tip of the iceberg when it comes to family fun. The pool has a pirate-themed play area, there’s a mini-golf course onsite, and the resort even has a private lake where kids can learn how to tie knots and bait their hooks before casting out a line. For an old-fashioned Florida beach vacation where the focus is on the sand and surf, head to Jupiter Beach Resort & Spa, Jupiter’s only oceanfront resort. Guests come back year after year because they love the beach here. And your resort fee includes beach chairs for relaxing down on the sand (either there or the hotel’s pool is where you’re likely to spend most of your family time). The kids will love sitting around the outdoor fire pits come nightfall, and it’s always fun to take a sunset stroll on the beautiful beach, too. One- and two-bedroom oceanfront suites are worth it when you want to splurge, but there are less expensive room categories, too.